While spring is a common time for many homeowners to spend some extra attention on upkeep and maintenance. Autumn is just as critical a season for preparing your home to withstand the potentially harsh winter weather and temperature conditions that may await you. Some home maintenance tips from our Risk Control professionals to help you prepare for the coming winter. -Have your heating system cleaned and inspected annually by a qualified technician. -Replace your furnace filter in accordance with manufacturer’s instructions. -Check gutters for damage and confirm they’re securely attached to the house. -Clean gutters and downspouts to keep debris from accumulating. 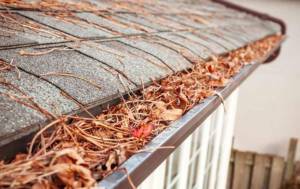 This is especially important during the fall season when leaves may collect in gutters. -Check and repair caulking around doors and windows that show signs of deterioration. -Have your chimney cleaned and maintained by a professional. -Clean the clothes dryer exhaust duct and space under and behind the dryer. —Remove lint and dust that may have accumulated inside the dryer in accordance with the manufacturer’s recommendation. -Check electrical outlets for loose-fitting plugs or receptacles. Be sure not to overload electrical outlets. -Keep a multi-purpose fire extinguisher accessible and confirm that it is fully charged and ready for operation. -Inspect your smoke detectors, and make sure you have a smoke detector in each bedroom or sleeping area, also, make sure there is a smoke detector in the hallway outside each sleeping area. You should also make sure you have at least one smoke detector on each floor of your home, in addition, don’t forget to include your basement. Test them monthly, and change the battery annually or as needed. The steps you take during the fall can help protect your home and property from more potentially expensive damage and emergency repairs in the colder months to come, in addition, make sure these steps are repeated throughout the year.